The most interesting aspect of post rock music is that it can often take on other forms entirely. One album may incorporate so much orchestral elements that it sounds like reverb-laden neoclassical music, while another may be more based on rock sensibilities. 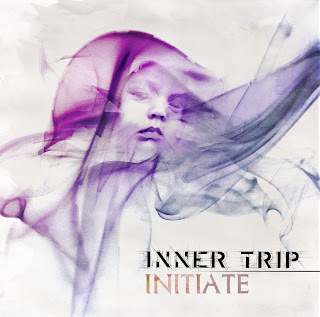 Inner Trip, a solo act by Saman N, produces quiet, introspective post rock music leaning more toward electronic soundscapes and ambient structures with cinematic elements. This artist is versatile. While most songs on this album are purely instrumental, some include Trent Reznor-esqe industrial vocals that are sufficiently tasteful and not over-produced. Put simply this is an interesting and unique listening experience. Released by Fluttery Records, "Initiate" brings forth a certain charm that is not found in most post rock. Middle-Eastern styled instruments sneak their way into the mix from time to time, never staying long enough to become overbearing or redundant. At the same time, you get more of what you are expecting from post rock music, with a lot of echoing guitars and pianos, few drum sections, and long, drawn-out downbeat instrumentation. Fluttery Records' website mentions that Saman N, who resides in Iran, had to overcome a substantial amount of prejudice to win fans and land a record deal. This is sad, because in my opinion, one's religious or political leanings should in no way determine how an artist is received, especially when such influences are not a focal part of the music said artist produces. Early on with this album, I found myself somewhat disappointed due to what i perceived as a lagging introduction. This problem worked itself out later on in the album by building to a satisfying climax, where the varied instruments and electronic sounds reached a pitch that brought out a sweet atmosphere. I feel confident that I can strongly recommend this album to fans of post rock music as well as those that are more interested in cinematic and contemporary music. This is indeed a good listen that does not get old with repeated listens. You can listen to the entire album below. Thanks for reading and enjoy!